When you will search for the most common reason why there is a space crunch on your computer then you will be surprised to see that duplicate file tops the list of these reasons. Another surprise you get when you can see that there are lots of duplicate files on your computer without your information. These duplicate files are also responsible for making your computer slow because if there is lesser disk space in your computer it will not be able to perform better. so, if you are facing space crunch and looking for effective methods to wipe out duplicate files from your PC then here is how to remove duplicate files. Downloads folder is the place where you can typically find duplicates in your computer and the reason is we download a file or a program and forget that it is still there in the downloads folder. When next time we require the same file, we download it again. This keeps on multiplying files and this is how we have multiple duplicate files on our computer. if you are planning to remove duplicates from your desktop manually then cleaning download folder is the first thing you should do. Another idea to find and remove duplicate files from your PC is by using sorting options. You can also sort these files by the date they are modified or by the type because this will make it easier for you to clearly see duplicates next to each other. 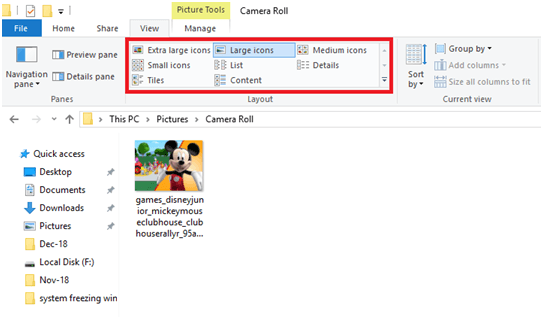 With the sorting of files, you should also choose to view bulky icons this will help you to see more files at the same time which helps you to decide which files you should keep and which you should delete. If you use to create back up of your files very often then searching for duplicates in multiple backup sets is another best way to remove duplicate files. This can happen to any one of us because we use to take backup of our devices from time to time on our windows computer. No doubt there are new files which need to be backed up but if we all the contents for the device it simply multiplies old files which are already there in the old backup set. To remove duplicates which are generated because we have created multiple backs upsets can be wiped by sorting data by modified data and then clearing old files which are being duplicated. Well above all the ways to remove duplicate files are for those who have decided to clear our duplicate files manually from there system. If you do not want to put so much human effort, then you should choose a third-party software to find and remove duplicates from your computer a third-party software finds duplicate files in just a few minutes and you can easily get rid of them by choosing what you want to delete or what you want to keep. 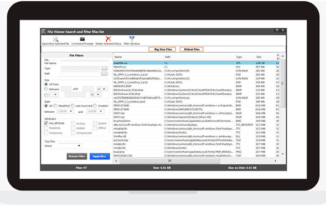 There are bags of third-party software accessible in the market. Which claims to remove duplicate files from your computer, but you should choose which also helps you to take an online backup before deleting anything. Here we are relating Duplicate Files Fixer from Systweak software which is an attractive tool to remove duplicates from your computer rapidly. 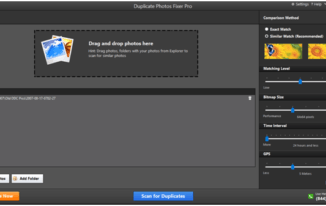 You can download Duplicate Files Fixer. Once you are done with the download and installation process you can proceed further to run a detailed scan, or you can choose to scan a specific location or your computer. you can also choose to scan by file types. Depending on the data on your computer it may take a few minutes to find duplicate files on your computer. 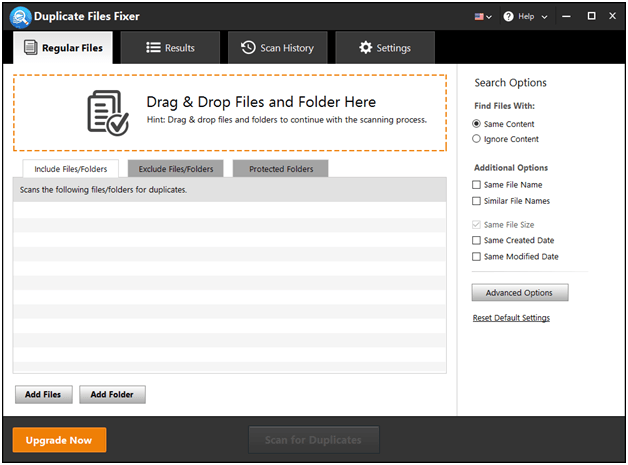 Once searching for duplicate files is complete you will these duplicates in the sets you can choose to keep or delete files as per your choice. When you will proceed for the deletion the software will ask you to back up your files online before you delete anything. You can choose to backup or you can straightway proceed for the deletion. This is how you can get free of duplicate files and can standby lots of space within a few minutes by using this tool. We hope these methods will help you a lot get rid of duplicate files on your computer and you will enjoy enhancing computing experience because now you will have much more disk space to save new files. Chandra Shekhar Choudhary is working as an SEO analyst and technical Content Writer. His potential of writing is PC tips, Android and Mac tricks, Remove duplicate files and he is anxious in writing other technical blogs. You can also find Chandra Shekhar on Facebook, Twitter, and Instagram. I never thought of this strategy before, and this post is timely as well since I’m using windows. Although my device storage is huge, knowing tricks will me time and energy on a rainy day. However, searching for back up folders and removing duplicate files with third-party software is my takeaway. Thank you for sharing!